Bush was in London yesterday. Hence the heightened security. 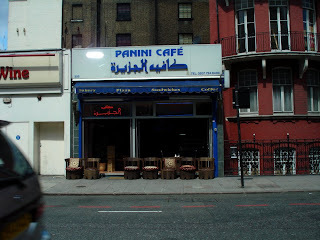 An Arab cafe with an Italian name. 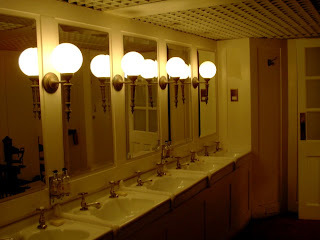 The quaint sinks at 69 Brook Street, Westminster. 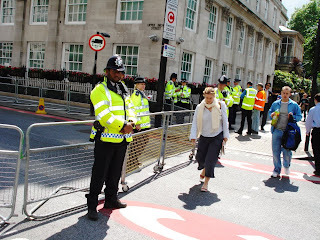 Do you recall the Morrissey lyric, "here in London / 'home of the brash, outrageous / and free' / you may be repressed / but you're remarkably dressed / is it Real? "?